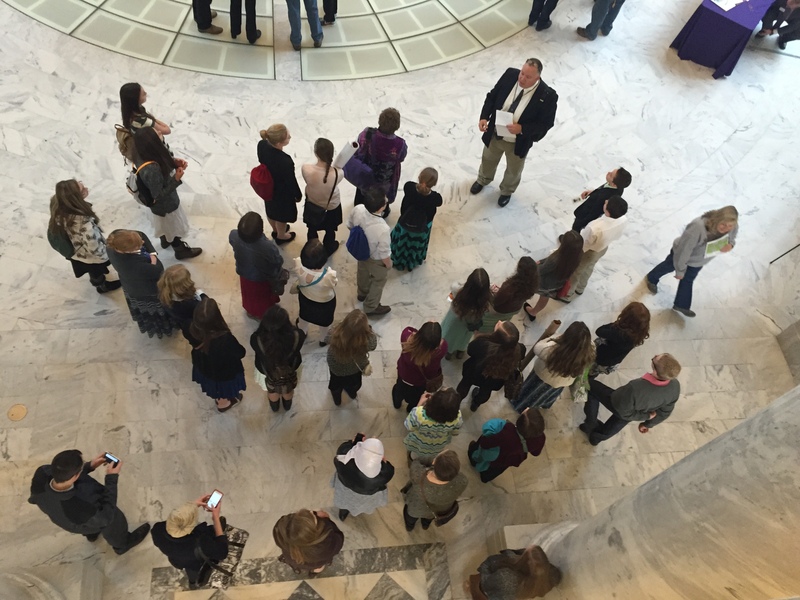 I love having school groups visit the Capitol. Thanks to teachers and staff at Pioneer Elementary for making this visit happen! 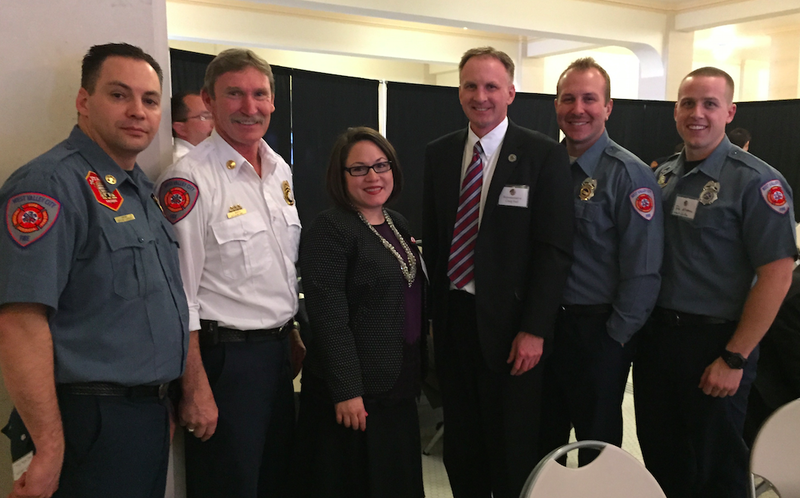 Rep. DiCaro and I had a chance to meet with several members of the West Valley Fire Department this last week. Thanks to these heroes for their service! 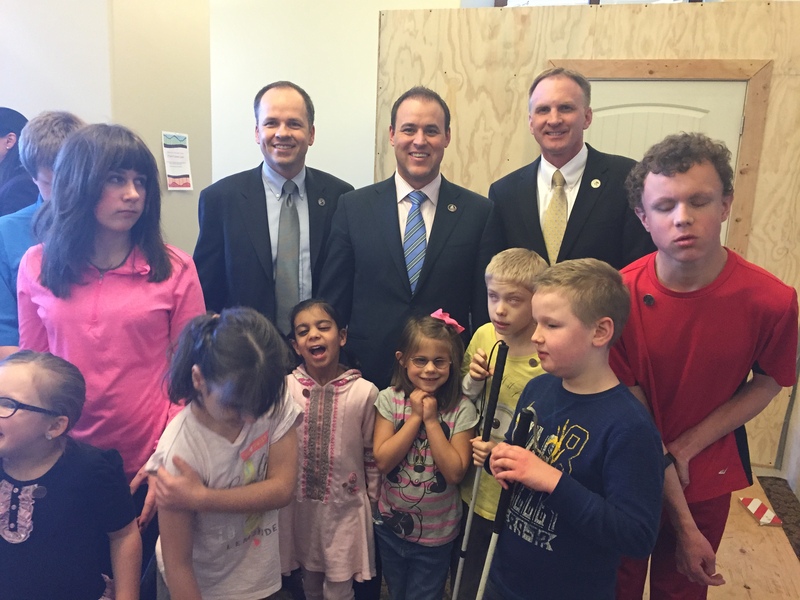 We had a wonderful visit from students from the Utah School for the Deaf and Blind. Great school with great students! A new bill would give school districts grants to better educate their school counselors on how to prepare students for college and careers. Read story here. The Senate gave final passage to a bill yesterday that will allow 14- and 15-year-olds to fish for free. Read report here. State lawmakers are looking to tighten the punishments for repeat DUI offenders. Read story here. Boat registration fees may increase by $10 this year according to a bill approved by the Senate aimed at combatting the invasive Quagga mussel. Read story here. HB81 - Local School Board Meetings Requirements - PASSED! - I am the chief sponsor of this bill. Passed 48-25 in the House and 27-0 in the Senate. This bill requires local school boards to have their school board meetings within their geographical districts. I became aware over this last summer that a school board had an official meeting at Snowbird Ski Resort, miles away from their constituents. I believe school board meetings should be within the geographical boundaries of the district so constituents can easily participate. Two news reports - Here and here. HB20 - Jury Duty Amendments - PASSED! - I am the chief sponsor of this bill. Passed 70-0 in the House and 28-0 in the Senate. This is a follow-up from a bill that I passed in 2013. The goal of this bill is to make make sure that courts spread out jury service to as many people as possible. This will help prevent the situation where some get called for jury service every six months, while others go decades without getting called for jury duty. Passed 70-0 in the House and is currently in the Senate. HB93 - School District Amendments - I am the chief sponsor of this bill. Currently in the House Education Committee. HB93 protects communities from unfair school district splits. It basically prohibits cities from cherry-picking its best tax base and creating its own school district, leaving their less affluent neighbors high and dry. This bill will protect all families, students and taxpayers within District 33. Here is a good news report regarding this bill: "In short, Hall is trying to take away the profit motive for splitting up a district and trying to avoid the creation of rich districts at the expense of poorer areas. . . . The plan will no doubt generate controversy, insomuch as any discussion of school district splits generate such discussions. But Hall should receive credit for approaching the issue from a different perspective that cuts to the core of education and education funding in the state." HB154 - Jury Duty Exemption Amendments - I am a co-sponsor of this bill. Has passed the House and is in the Senate for consideration. HB154 exempts a nursing mother from jury duty. There are some judges that already dismiss nursing mothers from jury duty. But there are others that do not. This bill would make it mandatory. Here's a great story regarding the bill. Saturday, February 28, 2014, 12:30 - 1:30 p.m. 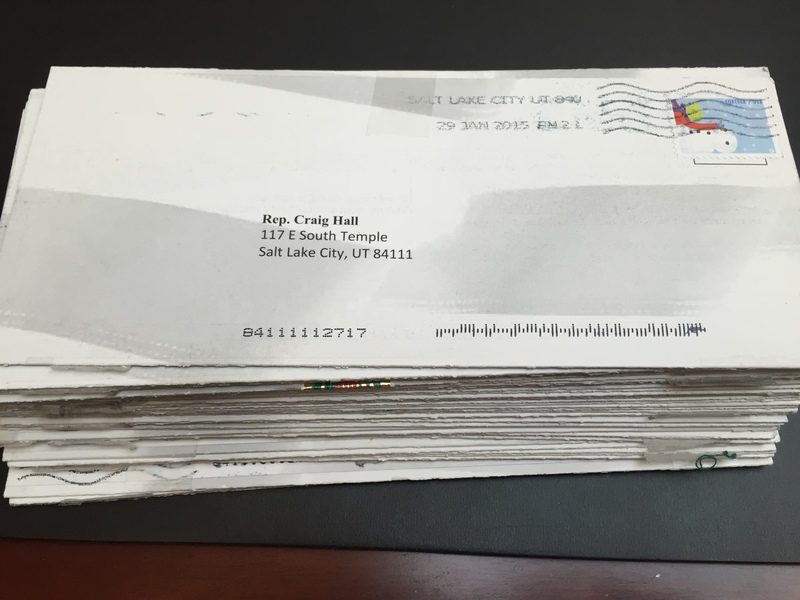 I have mailed a survey to constituents within District 33. The answers you provide to these survey questions are invaluable. Please, please, please fill it out and return! I am very interested in your perspectives. Your comments and thoughts are greatly appreciated. Thank you so much. One of our State's treasures is the State Capitol building. And visiting during the legislative session is the best time of year to visit. Lots of action happening every day. I would love to give your family / school group / church group / etc. 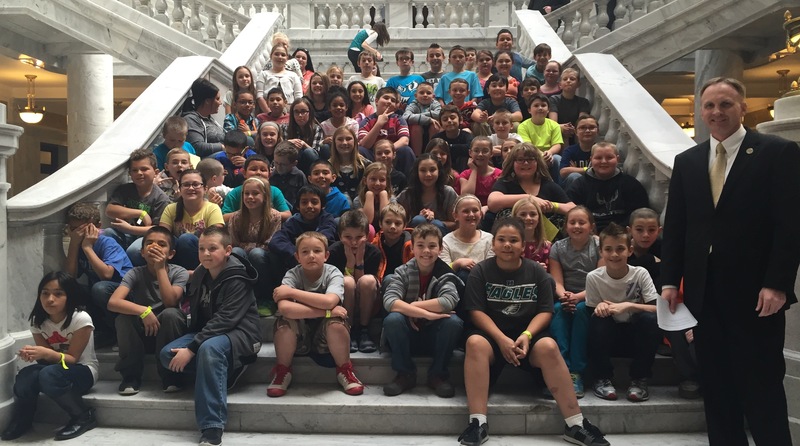 a behind-the-scenes tour of the State Capitol. Give me a call/email and we'll make it happen.